For such a remote place Palau has a surprisingly wide variety of accommodation on Koror and the outlying islands, ranging from first-class five-star luxury resorts with all the facilities and mod-cons, to mid-priced bungalows and motels. There are plenty of beachfront properties – big spenders might like to try the Palau Pacific Resort whilst lovers of more boutique properties should head to the further flung islands. Bear in mind that Palau room rates are relatively expensive, even for rather bog standard accommodation. While Koror has the most options, visitors will find quieter and more secluded accommodation available on the southern islands. Palau doesn't have B&Bs as such, but you can find guesthouses which tend to offer better value for money than hotels. Palau isn't a budget destination so you won't find rock bottom prices, but if you're on trying to make your money go further, staying at a B&B is a perfectly reasonable option. Most can be found on Koror. 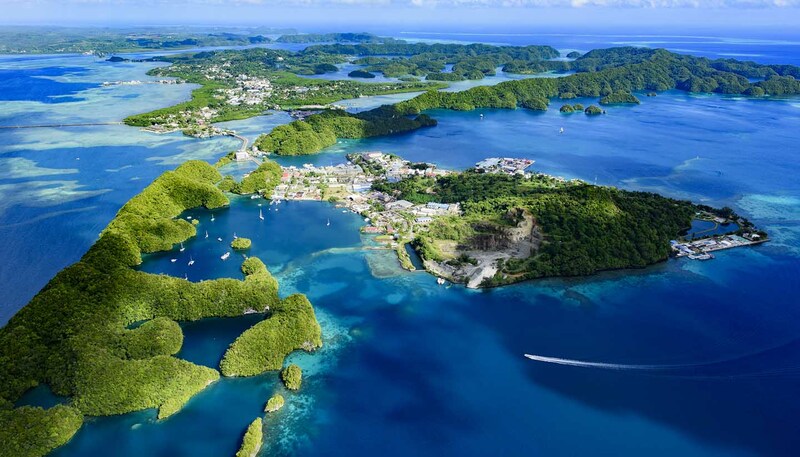 Weather-wise, Palau is great for camping, and being such an activity-driven destination (especially the Rock Islands), it's quite a viable option for outdoor enthusiasts wishing to get close to nature. Be aware that sleeping in a tent may prove too hot; hammocks and outdoor gear are available to buy in Koror. It is essential to be well-prepared if camping on the Rock Islands as many do not have water.